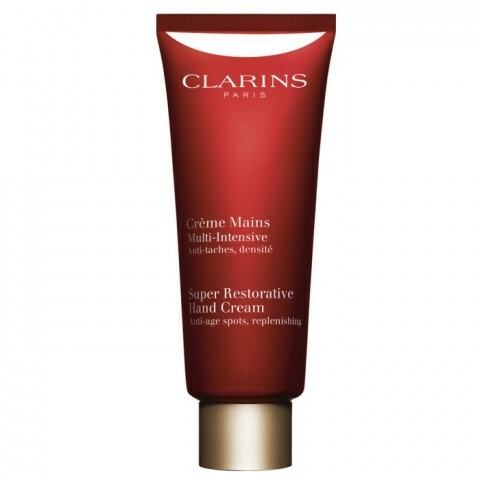 Clarins Super Restorative Hand Cream is an intensive replenishing cream that meets the specific needs of skin challenged by hormonal changes due to the ageing process. Enriched with exclusive organic Harungana extract, a 'healing' tree from Madagascar, the anti-ageing hand cream replenishes the skin at all levels and reduces wrinkles. 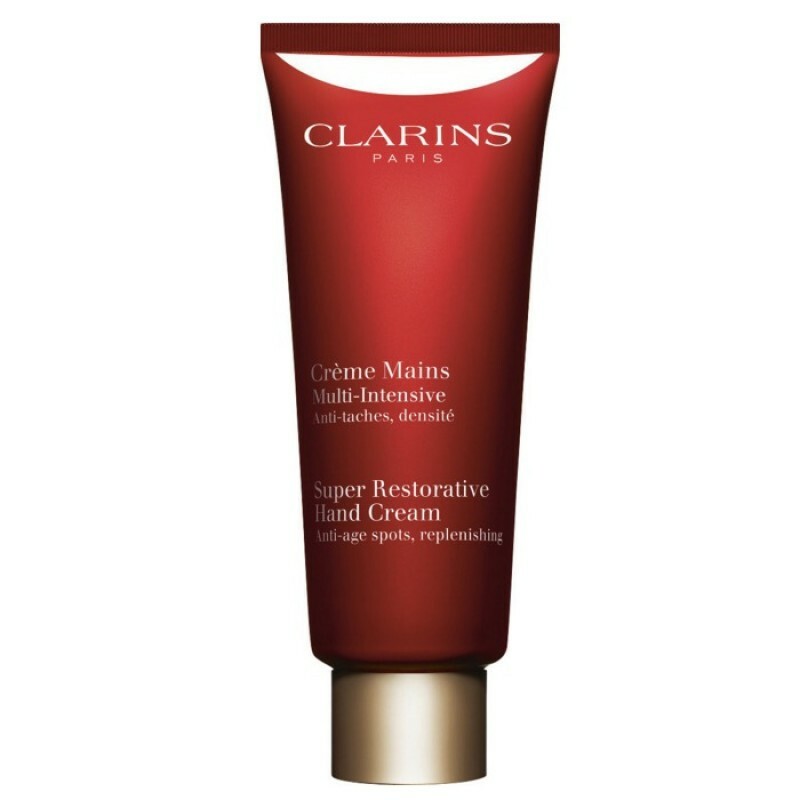 Clarins Super Restorative Hand Cream is a comforting and nourishing luxury hand cream that protects your hands from harmful environmental influences and keeps skin looking beautiful. 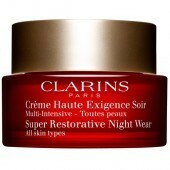 Upon application, this melting cream texture is quickly absorbed and leaves skin soft, smooth and supple, with no oily feeling. Used regularly, it replenishing and strengthening combination of plant extracts helps maintain a beautiful, youthful looking appearance from wrist to fingertips. 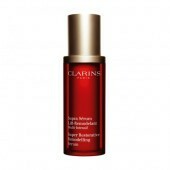 Montpellier rock-rose is the secret plant extract in this hand cream which helps reduce the appearance of age spots. 5 stars is not enough. 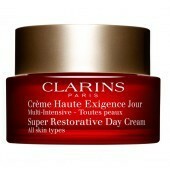 The anti-ageing element of this cream is the thing that is most noticeable. It's an expensive but worthwhile treat.